Lost & Found Fair – Merriam School! Please pick-up your items by the end of the day Friday, February 15 after that items will be donated. 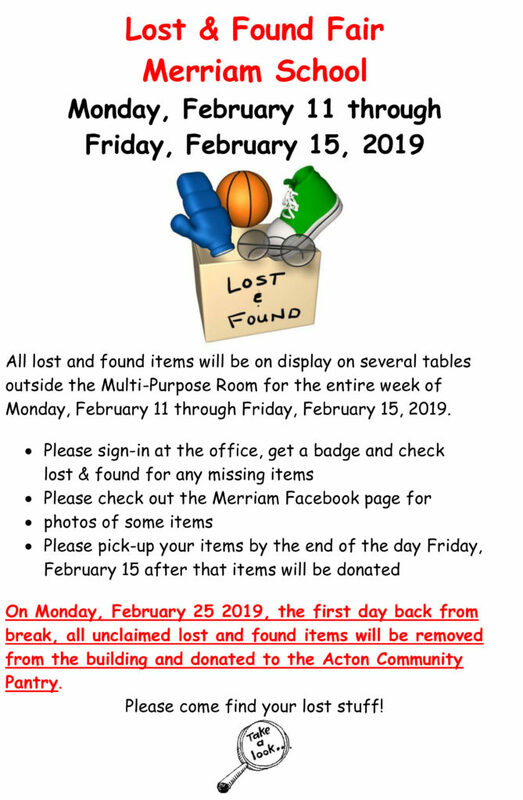 On Monday, February 25th 2019, the first day back from break, all unclaimed lost and found items will be removed from the building and donated to the Acton Community Pantry. Please come find your lost stuff! Theme Day – Volunteers Needed!